While church members may want to give their pastor a financial gift to show appreciation, a recent court ruling says the IRS can still get their cut. 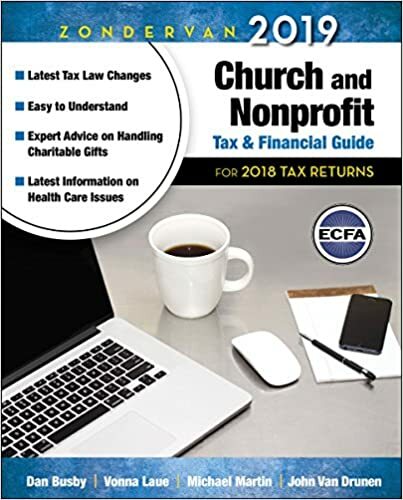 A Minnesota tax court ruled that contributions made by congregants as “gifts” to their pastor are still taxable income, according to the Evangelical Council for Financial Accountability. As pastor of Holy Christian Church, a non-denominational congregation in Saint Paul, Minnesota, Wayne Felton received what he believed to be nontaxable gifts from members. In both 2008 and 2009, congregants gave Felton more than $200,000 as direct gifts. Members could use special color-coded envelopes to indicate if they wanted the money to be counted as a tax-deductible contribution to the church or if the money was to go directly to the pastor as a gift without the same tax benefits for the donation. Wayne Felton only filed tax returns for those two years after the IRS contacted him. In his ruling, Judge Mark Holmes “rendered a decision that may be the most thorough judicial analysis of the law surrounding ‘love gifts’ for pastors that has ever been published,” according to Mike Batts of Batts, Morrison, Wales & Lee, a certified public accountant firm. Batts said Holmes seemed sympathetic to Felton and recognized “the law in the area of gifts for ministers is not abundantly clear,” but he agreed with the IRS’ position. Noting “our tax system is somewhat more complicated than the ancients’,” Holmes outlined numerous court cases dealing with conflicts over the taxable nature of certain financial gifts, including many made to pastors and religious figures. The judge didn’t make any rulings on a housing allowance the church provides Felton and his wife, only to note the allowance has only recently been found unconstitutional by one court and is currently on appeal to the U.S. Seventh Circuit Court. (2) This is not a recent decision – 2008 and 2009 are at least 10 years ago. Certainly for more than 10 years “love offerings” and honoraria are taxable. Please stop perpetuating the lie. Les, thank you for adding what you were taught in seminary. That is helpful information for pastors. The judge in this case agreed with you, though he noted that the law isn’t abundantly clear on the matter. Hopefully, this court ruling will clear things up for pastors. And while the years involved in the court case are from a decade ago, the decision was just handed down last month (October 2018). Thank you for your reply and my sarcasm did not become me. (2) Offerings you receive for marriages, baptisms, funerals, masses, etc. One of the reasons I find it simpler to have honoraria go to my discretionary account at Church. Thus it’s not taxable income for me; it allows me to to ministerial work that would not otherwise be funded by my church (care and feeding of the poor and those in need). Somewhat ironically, the church that allows compensation to be given under the guise of a love offering lays itself open to IRS scrutiny.